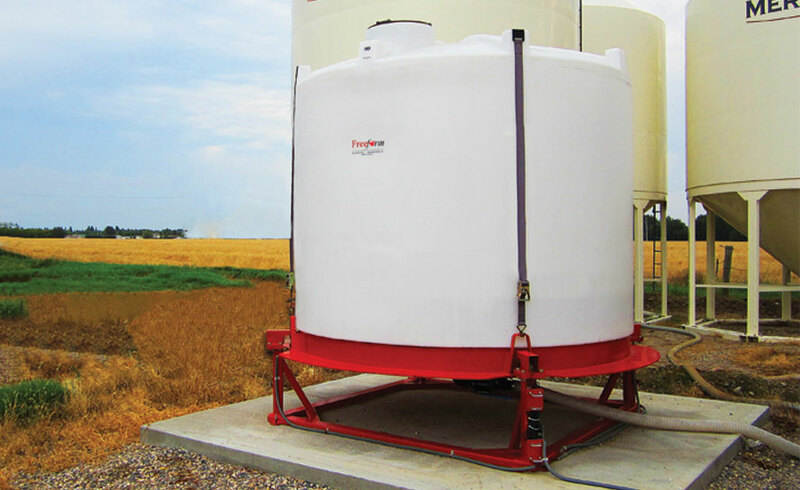 The Liquid Fertilizer Scale Station has a heavy-duty design for ground-level or over-head applications. Metal edging around the perimeter to allow for easy calibration. The cone bottom poly tanks have optimum 10° slope and can be filled from the top or the bottom. Has Shielded load cells, Anti-Vortex fitting, full metal bottom and tank tie-downs. Custom manufacturing available, call Free Form for details. Error: Error validating access token: Session has expired on Saturday, 13-Apr-19 09:02:04 PDT. The current time is Thursday, 25-Apr-19 19:16:58 PDT.